In preparing for my trip to China, I wanted to read as much as I could about this nation. I wanted to read biographies and fictional tales. One of my favorite biographies that I read was about Gladys Aylward, a British Christian missionary to China who helped end the tragic foot-binding of women, and became a war-time hero, rescuing children during the Japanese occupation. Her life is nothing short of inspiring. Gladys was born in 1902 to north London. She became a housemaid at an early age, but always had a dream of becoming a missionary. She tried to apply with the China Inland Mission, who refused to send her because of her inadequate background training and possible inability to the learn the language. But Gladys was not swayed, and spent her life savings on a train ticket to China through treacherous Siberia. 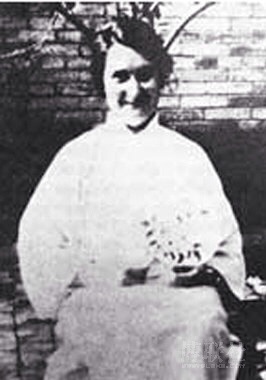 Gladys had arranged to be a housemaid to another female missionary in China, which was her reason for going. She served faithfully with Jeannie Lawson, and together they opened an inn to reach villagers on their travels. It was during this time that Gladys was asked to be a foot inspector by the local government. She helped enforce the new law that forbid the cruel binding of the feet of young women in China. Even against struggle & threat of violence, Gladys carried out her task with integrity and loyalty. She was respected by many. Gladys later helped reform Chinese prisons, and often risked her own life to help those in need. In 1938, when the Japanese invaded the region, Gladys helped lead over 100 orphans to safety, even with her own injuries and illness. The war continued to pose threat, and Gladys left China, never again able to return. She finally settled in Taiwan, and founded an orphanage where she worked until her death in 1970. Gladys Alyward is a hero in my mind. She was brave, reckless, wild, inspiring, and ambitious. She didn’t take no for an answer when the mission board turned her down. And she didn’t give up when the journey through Siberia was challenging. She worked hard at her calling, and the Lord rewarded her efforts by providing favor with the local leaders. She was an asset to her community and to all of China. I can only hope to leave such a legacy in this world. Previous postWhere Did I Leave My Heels?